This topic contains 3 replies, has 3 voices, and was last updated by williamk-arrieta 23 Nov 2018 @ 12:57am. 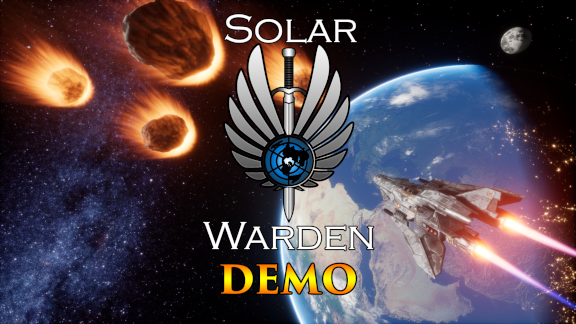 The FREE Demo of Solar Warden a game that is a unique mix of a X-COM-like geoscape, Freelancer and Descent-like combat is available! Take control of the Solar Warden fleet defending planet Earth against a short number of incoming waves of meteors filled with the hostile space based aliens – the Silicoid. This short Demo shows off the core functions of commanding your fleets around Earth’s Orbit as well as being able to take control of your vessels directly via the Telepresence system. Defend Earth against multiple waves of Meteor clusters, each with increasing difficulty until you finally encounter the final boss – The Silicoid Worm! Victory can be achieved by destroying the Worm on the final wave! The Demo is a compact 624 MB to download. Hmm… I’m going to hesitantly check this out, because it’s free, and this does sound like something I could get into, but let’s be real: advertising a game on another game’s forum as your first post is exceedingly and bafflingly poor form. But please feel free to join the Overload community – we’re mostly good folks playing a very good game. This game is a bomb. I always see demo first before buying any game. As I have a subscription of Xbox I can the demo of any game before buying it for free. It’s great, I got this game at an extreme discount rates from this website. I am still playing this games and it fun. Previous Topic: Overload Multiplayer — Video now available, streaming most days now Next Topic: CPU Requirements ?